Receive your electronic bill quickly and easily via e-mail. See the billing periods for each trimester for the sectors in our distribution network. Completely fill your washing machine and dishwasher — this is where most water is used. 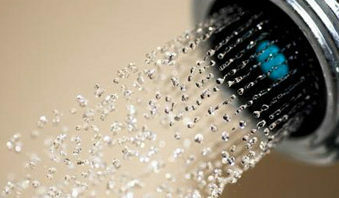 Water from the second rinse can be used to water your plants. Choose native plants for your garden and planters because they consume less water and mean a lot less work for you than exotic plants. In addition they don’t require the use of chemical products to maintain them. Do not abuse bleach, it breaks the bacterial equilibrium in water purifiers, making their work more difficult. Use ecological detergents without phosphates. Quickly repair any faults in your faucets and pipes. A dripping faucet loses 30 liters of water a day. In order to continually improve the services we provide in your geographical area, we have a Quality Management System in place, based on the Spanish ISO 9001:2000 requirements.